Initiated in 1928, the Cross Country Cycling Race has evolved into a symbolic and traditional aspect of Belize. In the early days of 1928, curious and enthusiastic Belizeans took it upon themselves to travel west of the country on their bikes through bumpy, unpaved, dirt roads. From this expedition to San Ignacio Town, the famous annual Cross Country Cycling Race was born after the first award was given to the fastest racer. Approximately ninety years later, it has been one of the biggest and anticipated cycling races of the year by spectators and cyclists. Let the festivities continue! 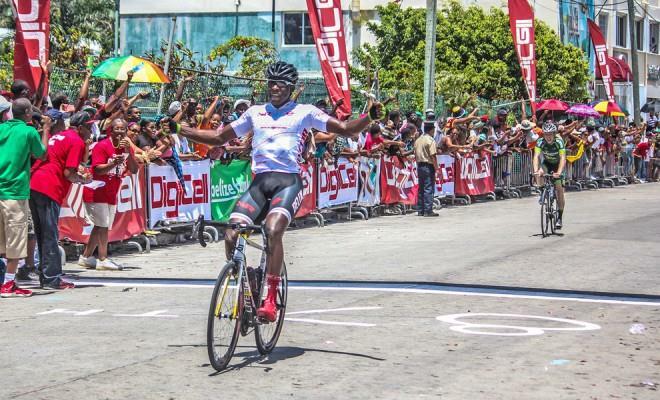 As we approach Easter time, Belizeans and travelers all over the world are anticipating the annual Cross Country Cycling Classic being held on Holy Saturday, April 20, 2019. 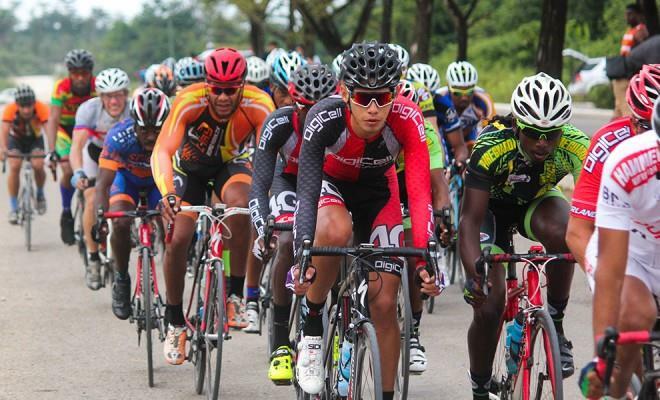 Like the La Ruta Maya Canoe Race, the Cross Country Cycling Race is locally and internationally recognized as one of Belize’s most vigorous and competitive races. Audiences from all over Central America, South America, North America and, even, Europe come to Belize to witness cyclists competitively pedal themselves to victory from Belize City to San Ignacio Town and back. Hosted for nine decades and counting, this is an intensive one hundred and forty miles race is to be completed by the cyclists in just a few hours. 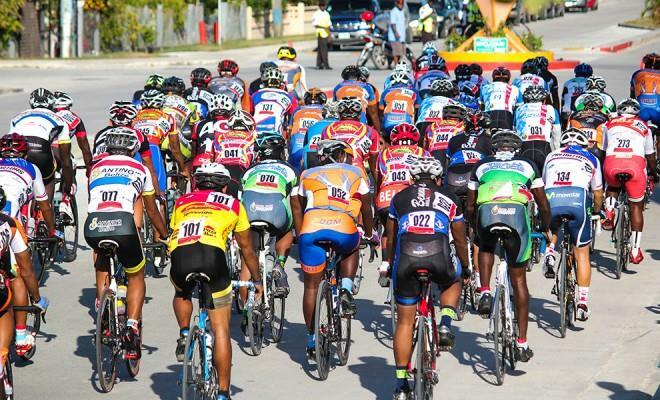 Why you should watch the Annual Cross Country Cycling Race in Belize? As early as 5:00 a.m., those living closer to Belize City, where the race starts, gather at the side of the George Price Highway to cheer on the cyclists as they race their way to San Ignacio Town. Excitement and loud cheering will be heard all along the highway. Join the Easter festivities and witness another momentous race. There’s no other perfect time to start Belizing!! 4/20/2019 5:50 AM The race will start at BTL Park, Newtown Barrack, Belize City at 5:50 a.m. with a lead out from starting point unto Freetown Rd., across Belcan Bridge unto Central American Blvd, Lord Ridge Cemetery unto the George Price Highway, where the official start takes place in front of Leslie's Imports. 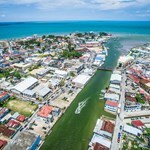 4/20/2019 11:45 AM The race will then travel to San Ignacio Town around Columbus Park and return to Belize City via Central American Blvd. over the Belcan Bridge unto Princess Margaret Drive, passing KHMH, the Marion Jones Sporting Complex and the Hour Bar, unto Newtown Barrack finishing in front of the BTL Park. The winners start crossing the finish line at around 11:45 A.M. Watchers can witness the race along the George Price Highway. Viewers often gather at BTL Park in Belize City and Columbus park in San Ignacio Town. If you do not reside along the race route, you can travel via bus, personal vehicle, rental/shuttle/charter before the road is closed off. Will I be able to conduct any tours after the race? Yes, after the race, the George Price Highway will be opened to the public and regular tours can be conducted. If you have booked your tour on belizing.com, ensure that the specified date is confirmed by your guide and that the tour will be conducted after the race. What if I don't live along the race route? What time would I have to travel to view the race? Since the George Price Highway will be blocked for the race, it is recommended to travel to a preferred location a day prior to the race. Will there be seats to sit and watch the race? No, viewers often gather at the BTL Park, sidewalks of the selected roads, on the side of the highway, and Columbus park to watch the cyclists in action. Will there be food and drinks sold? Yes, at the parks and along the route, there will be vendors on carts and shacks selling refreshments. The trip to the zoo is approximately 45 minutes from Belize City. We will do pickup from any location in Belize city upon your request. The journey takes us onto the George highway ... moreand drives for about 25 miles in our comfortable air condition vans. 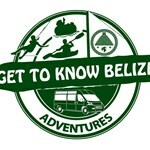 This combo tour includes a trip to the Belize Zoo & a tour of St. Herman's Blue Hole National Park. 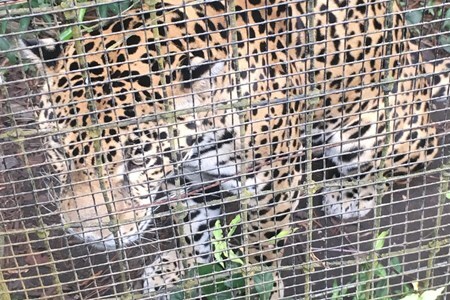 The tour starts in Belize city, we will take a 40 minutes to drive to the Belize ... moreZoo. The second tour will be to St. Herman cave. We will pass through our country capital Belmopan. Lunch in Belmopan can be provided upon request. St. Herman cave is 40 minutes drive from the Belize zoo. Discover northern Guatemala’s most incredible Mayan ruins and enjoy the island of Flores in the Lake Petén Itza. Uncover the mysteries of the UNESCO World Heritage-listed Tikal, perhaps ... morethe most elaborate of the ancient Mayan cities, on day 1 before continuing on a relaxing day in the Petén Itza lake with a tour knowing the legends of the Itzaes the last tribe to be conquered by Spanish. 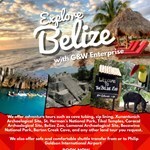 Your exploration of Tikal and Flores includes round-trip transport from your Belize hotel, overnight accommodation, a guide, 2 lunches and breakfast on the second day. Get up close to native wildlife as you adventure into the Guatemalan jungle 1 night of accommodation, breakfast, lunch, transportation, hotel pickup and drop-off. Start your Mayan adventure with an early morning pickup from your Belize hotel, continue on to the sacred Mayan site of Tikal National Park (Parque Nacional Tikal). 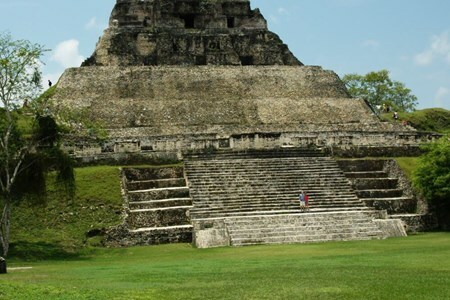 Covering more than 341 square miles (550 sq km) the grounds of Tikal are home to several thousand individual structures. Start your exploration from the city’s Central Acropolis, home to a labyrinth of courtyards, temples and small interior rooms, before proceeding to Complex Q and R, site of the twin pyramids and a beautiful religious altar area out front. Then continue on to Temple I, also known as the Temple of the Grand Jaguar, which was built to honor Mayan King Moon Double Comb. This 144-foot (44m) high temple contains an enclosure of several small rooms leading to the steep stairs that climb to the temple’s peak. You’ll also check out the nearby Temple II, known to experts as the Temple of the Masks and finish the Tikal tour with lunch at the site. After you will be driven to the city of Flores where your accommodation is and where you will enjoy the nightlife of the place. Start your second day with included breakfast at your hotel, before making a boat tour of the Peten Itza Lake. Visit the zoo of Petensito and the River of San Miguel in this 2-hour tour in one of the most beautiful lakes in the world. You will have lunch in one of the best restaurants in Flores where you can try the Whitefish typical of the lake. After lunch, you will return to Belize. Enjoy a close encounter with Guatemala’s vibrant wildlife on this full-day bird-watching tour in the Maya Biosphere Reserve. 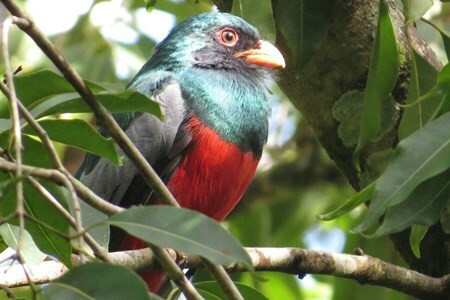 With the help of an expert private guide, visit bird-watching ... morehotspots like Ixpanpajul Nature Park, Tikal or Yaxha, and have a chance to spot more than 400 different bird species, including the famous. 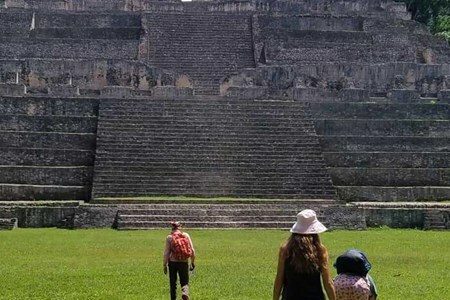 Your professional guide will take you across the border into Tikal National Park in Guatemala and lead you on a fascinating tour of the sprawling archaeological complex. Round-trip transport from your Belize hotel and all park fees are not included. 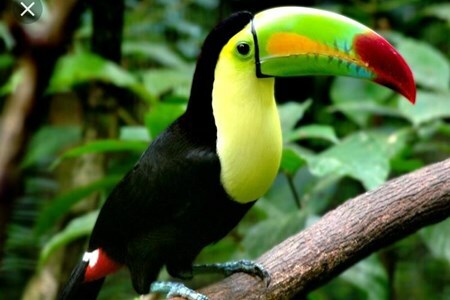 Enjoy bird watching, Tikal Park or Yaxha Park Spot and identify rare and native birds with an expert guide from the Perfect tour for nature lovers! 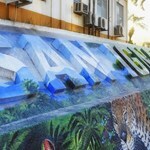 This tour offers round-trip transportation from your hotel or airport to the park. The admissions are also included and you will be accompanied by a bird specialized guide. Lunch includes great grilled beef with rice, salad, tortillas, soup, and dessert. Drinks are not included with lunch only 1 bottle of water per person during the tour. 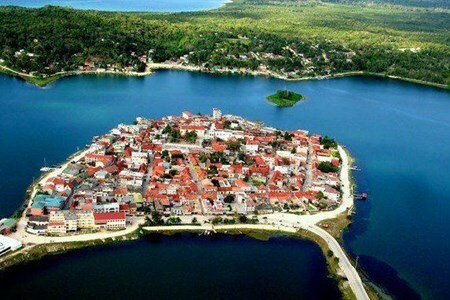 Do not miss this great adventure and explore with us the wonders of the Mystery Green World. Some destinations for sightings are Tikal, Ixpanpajul, Yaxha and Lake Petén Itza. 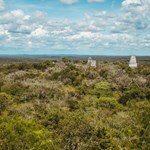 Caracol Mayan Temples was discovered in 1938 by loggers, located deep within the Chiquibul Forest Reserve now it is the most extensive Maya site in Belize and one of the biggest in ... morethe Maya World. Caracol Mayan Temples is a Classic Period urban center that spread out over 55 square miles with an estimated population of 180,000 people. Caracol’s enormous central core area covered 15 square miles and was linked together by more than 20 miles of “sacbeobs” (causeways) that radiated outward from its epicenter. 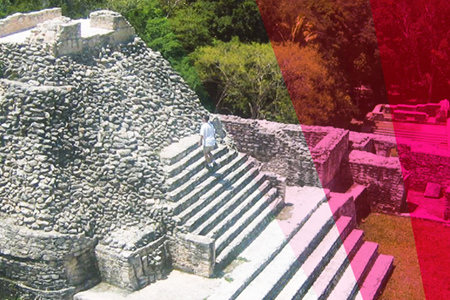 The temple “Caana” rises 42 meters above plaza level and to this day is the largest man-made structure in Belize. The Yaxha kingdom is estimated to have covered an area of 237 square kilometers (92 sq mi) and to have had a peak population of 42,000 in the Late Classic period. The Yaxhá-Nakum-Naranjo circle is considered the “best kept secret of the Maya World”, it covers a total area of 37.160ha and is part of the Reserve Maya Biosphere. To the west is the Tikal National Park, and north is the Biological Corridor Tikal-Mirador-Rio Azul. Arrival at the Interpretation Centre Yaxhá. The tour includes the visit of Astronomical Minor Complex, Avenue of the Pilgrims, Square Columns, Patio IV of the South Acropolis, Big Astronomical Complex, Residential Group, Watery Avenue, group Maler, North Acropolis, Plaza of The Birds, The Causeway, Twin Pyramid Complex and the Temple of the Red Hand (structure 216). This is a waterfall lover's dream! 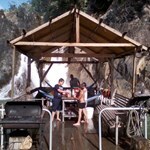 There are 3 waterfalls on this trip: The unnamed waterfalls, Rio Frio waterfall and the Twin waterfalls. 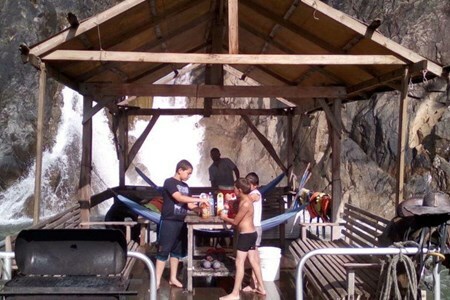 These beautiful waterfalls are located up ... morein the Vaca Reserve which is about 8.5 miles on the Hydro Road which is about one hour drive from downtown San Ignacio. This is my favorite place in Belize!! From the time you get on the pontoon boat on your way to the waterfalls, you will be engulfed by the beautiful scenery of the river gorge. While enjoying the scenery we travel slowly on the river bank trying to find some wildlife. Some days we see a lot, some days we don’t see anything. Hence the reason I do not guarantee wildlife but the great adventure, scenery and the waterfalls will always be there. However, you will see images of the wildlife we encounter on the trip many times, however, the wildlife is not guaranteed as it is not a zoo. You can get to the location where the pontoon boat is waiting for us in two ways. One, you drive all the way down to the river bank. Two, you can hike the recently built trails that pass through the jungle while learning about some the traditional edible and healing plants that were used and still used by the Mayas. Situated at 1600 feet above sea level (one of the highest located sites of the southern uplands region) with no natural water body close by, it remains a mystery why such a huge population ... morecenter like Caracol evolved where it is. However, the close proximity to both extremely hard stone and copal, two commodities highly prized by the Mayas may help explain this enigma. At the heart of the site lies the massive pyramid of Caana (Sky Palace) which is now almost fully restored and reaches a height of over 135 feet. 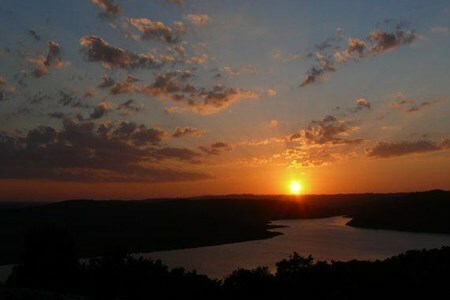 From the top, you can enjoy breathtaking panoramic views over the forest-clad mountains. The drive to the site in the early morning occasionally allows guests to take a glimpse of tapirs, jaguars or ocelots, as they break their forest cover to cross the road. The sprawling site contains huge Ceiba, Mahogany and Sapodilla trees and is superb for birding (the rare Keel-billed Motmot is one of the many residents of the site). Wildlife such as Howler and Spider monkeys, the Oscellated Turkey, Coatimundi, Gibnut and Grey Fox are often sighted while quietly wandering along the site’s causeways or along trails connecting the plaza groups.